We had done our sight-seeing — more or less. Passed by Budapest&apos;s major sights on a tour bus; saw the main museum; went to a piano concert. And, of course, enjoyed coffee, cake and ice cream at the glorious New York Cafe. Saw a couple of films too. “The Mask” and “Orlando”. Still had a day or two left. Why not gather material for an article about something Iranian? Well, there was a Middle Eastern grocery that apparently sold canned beans imported from Iran. That was one option. There was also an Iranian artist who had lived in Budapest for the past few years. But so what? He was a weasel. But there was something else. Something hard to believe. An ethnic group who had settled in Hungary centuries ago and claimed to be of Iranian origin. It seemed much safer to do a story about canned beans than something as incredible as ancient Iranian immigrants in central Europe. Oh well. It wasn&apos;t going to be a doctoral thesis. Only a simple article. We knew where we had to go. To Jászberény, the center of a whole region set aside for the Jász (pronounced YASS) people, or Jazygians. They had a museum where we assumed we could find clues to our supposed compatriots. What had forced their mass exodus? Unbearable fear for their lives? Repression? Was it the Mongol invasion? At a subway station we asked where we could catch a bus to the town, which was about 100 km east of Budapest. The woman clerk turned out to be a Jász herself. And obviously quite proud of the fact. And where did the Jász come from? From Iran, she said, without hesitation. 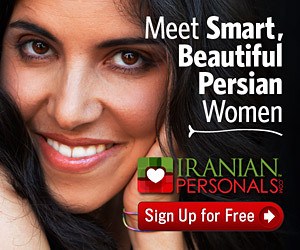 She didn&apos;t look particularly Iranian. But who knows what the passage of centuries could do to your looks. Before we hopped on the Volanbusz, we tried to send a telegram to grandmother, saying when we were going to show up for dinner. We couldn&apos;t call her since she didn&apos;t have a telephone. But the post office queue was too long. The bus seats were nice and cozy. Clean too. Legroom was just about right. The bus was not quite half-full. A large man had passed out on the seats behind us. And in front, two jolly old men — retired perhaps or laid off after the end of Communism — stared at us every once in a while. Maybe because we spoke Persian. Or because we just didn&apos;t look like the locals. During the trip we saw almost nothing but farmland, lined with tall trees along the narrow road. The driver stopped for refreshments at a bar. The Coca Cola did indeed taste refreshing with the sandwiches we had eaten earlier. After a couple of hours, we rolled into our destination. Jászberény couldn&apos;t have been more charming. There seemed to be only one thing of everything and only the things you really needed. And every one of them looked just perfect. The tiny stone bridge over the canal. The proud but unpretentious church. The supermarket that was as big as the pet food section of an average American supermarket. The simple hotel with its helpful clerk. The statue of a woman — which we later found out had been unveiled only a few days before to honor Jász culture — in the main square. And not far from it, a turquoise pond and a few squirting fountains. The local two-story school with walls pained in bright lemon. The cellar restaurant with its giant beer keg entrance. The disco, looking neither thrilling nor tantalizing but giving the feeling that you would have exactly what you want: A good time. People seemed to have not a worry in the world. They wouldn&apos;t mind if the economy picked up a little and they could afford a new German car. But the clunky Brezhnev-era four-seater was just fine, thank you. Contentment. That&apos;s what it was. Contentment. We asked where the museum was. On Táncsics Street. About fifty feet east of the main square. We got there after stopping at the post office and sending the telegram to grandmother. There were two women clerks. Both had to be close relatives of Mother Teresa. We bought our tickets and rushed to see signs of ancient Iranians. The barn-turned-museum, was divided into three halls . On display were documents signed by Hungarian kings and governments recognizing the Jász as a distinct ethnic group. There were also traditional costumes. Artifacts. Portraits of famous Jazygians. The center piece — the most important symbol of Jazygian culture — was a horn. The Lehel kürtje. It hung inside a thick, round glass encasement, as if it were the center of the universe. The only thing on the engravings surrounding the horn which looked familiar, was what appeared to be winged humpless camels. To the untrained eye, there were no clues that would shed light on anything Iranian. We needed to speak to an expert. We made an appointment to see Dr. Edit H. Bathó, the museum director. She had meetings and didn&apos;t have time for an interview. But we assured her we weren&apos;t going to take much of her time. We only wanted to know one thing: Who are the Jazygians? While we waited to see her, we flipped through the museum literature. There were a dozen or so books and an encyclopedia in three or four volumes specifically on the Jazygians written in Hungarian. “In the centuries after the Hungarian conquest, a lot of other smaller ethnic groups got beside the Hungarians on the territory of the Carpathian basin. “One of them were the Jazygians, a nation of Iranian origin, supposed to have settled down at the northern edge of the Great Hungarian Plain, on a territory intersected by the river Zagyva and Tarna in the course of the 13th century. “The center of their settlements has been from time immemorial Jászberény, the history of which has many peculiar elements. Hungarian kings granted the Jazygians privileges. By the time we met Dr. Bathó — who looked very much Iranian — we were dying for some hard information. Before we left we signed the museum guest book. In Persian; the supposed language of the Jász way back when. And suddenly there was a startling discovery. Others had signed the book in Persian too. Well well well. Who have we got here? We were told that an Iranian delegation had attended an international conference on Jazygians there earlier that month. Some of them were senior officials from Yazd. And at first, no one was quite sure why. Did Yazdis think they had a pretty convincing claim on being the forefathers of Jazygians? Jász, Yazd. Sounded right. So right, in fact, that Yazd is planning to become Jászberény&apos;s twin city and host its own international conference on Jász culture. Then Yazdis could officially declare themselves… Jazygian? We left the museum and sat on a bench for a while in the main square. — “How do you know they&apos;re wonderful?